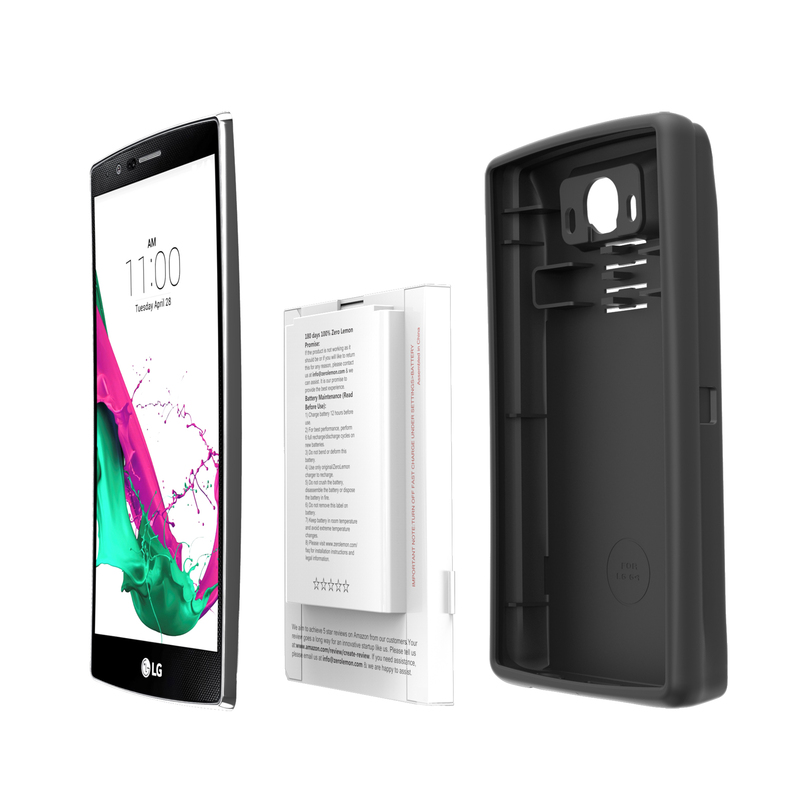 LG G6 Battery case @ 8000mAh. 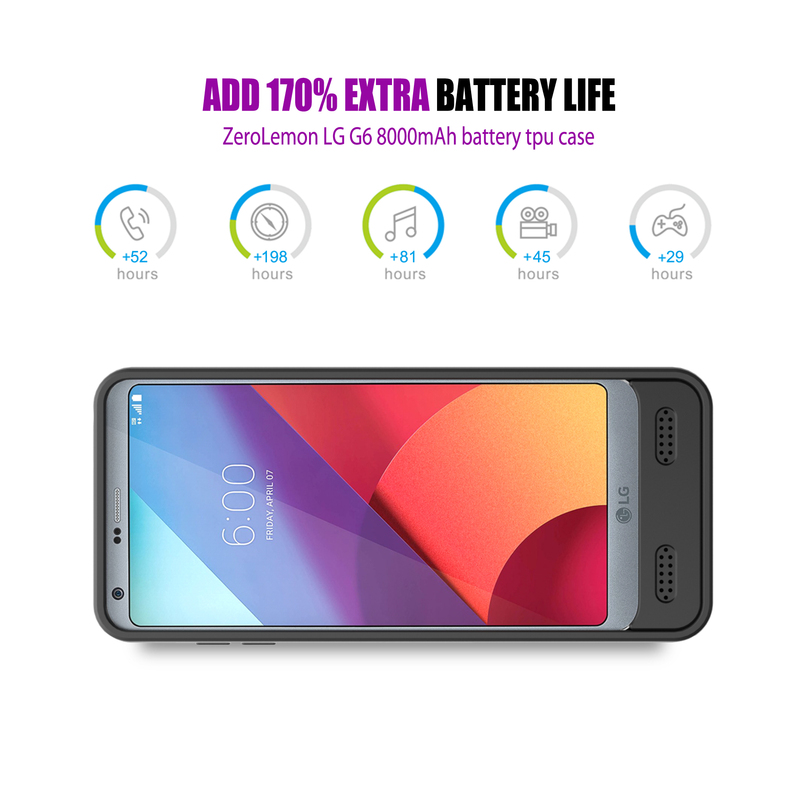 Offers up to 170% extra battery life. 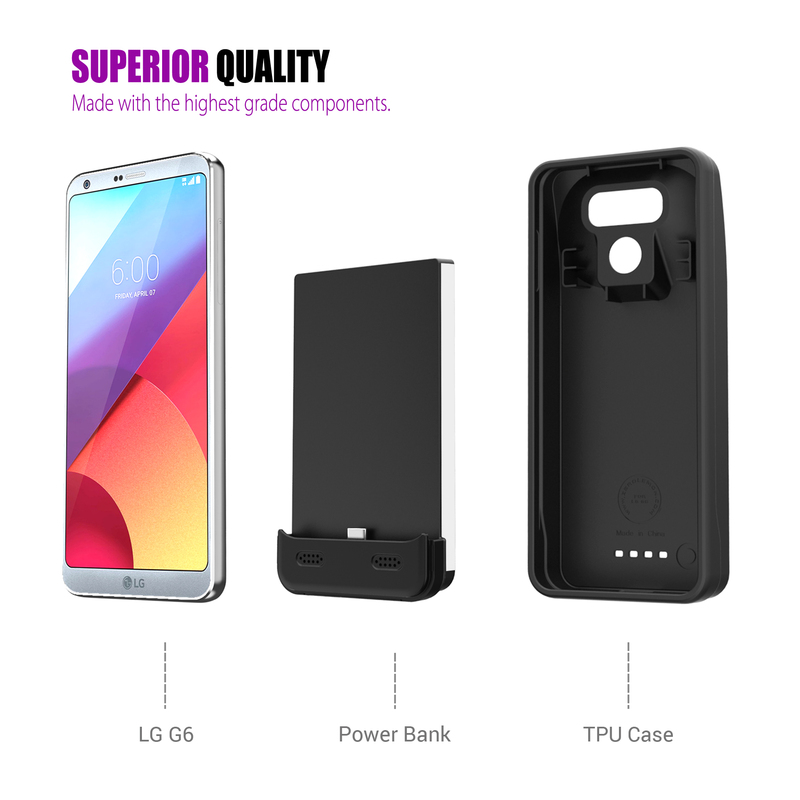 All charging ports and features are lined-up well. 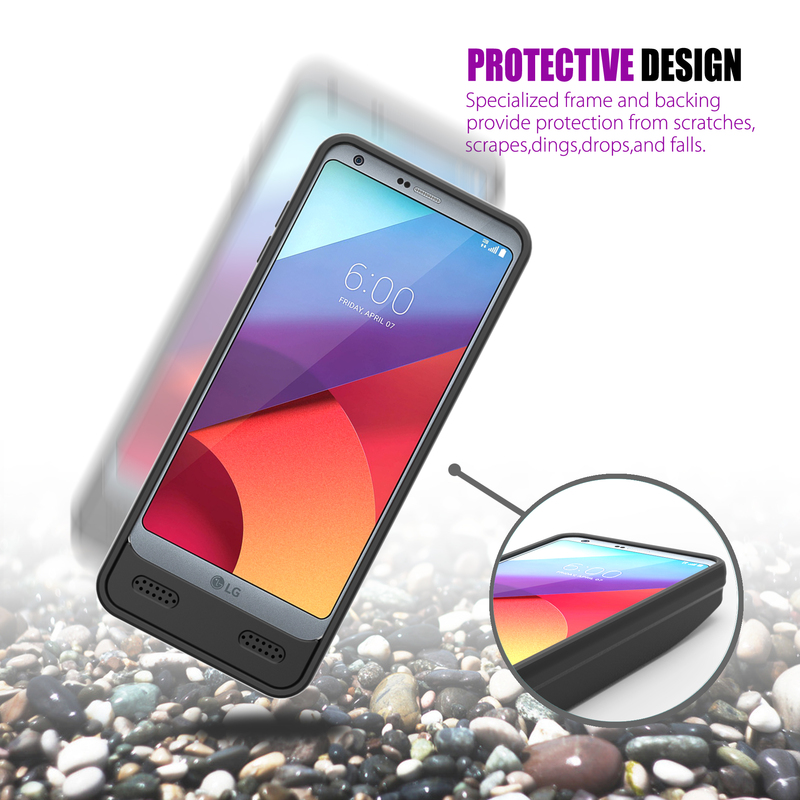 Protects the phone from overcharging and overheating. 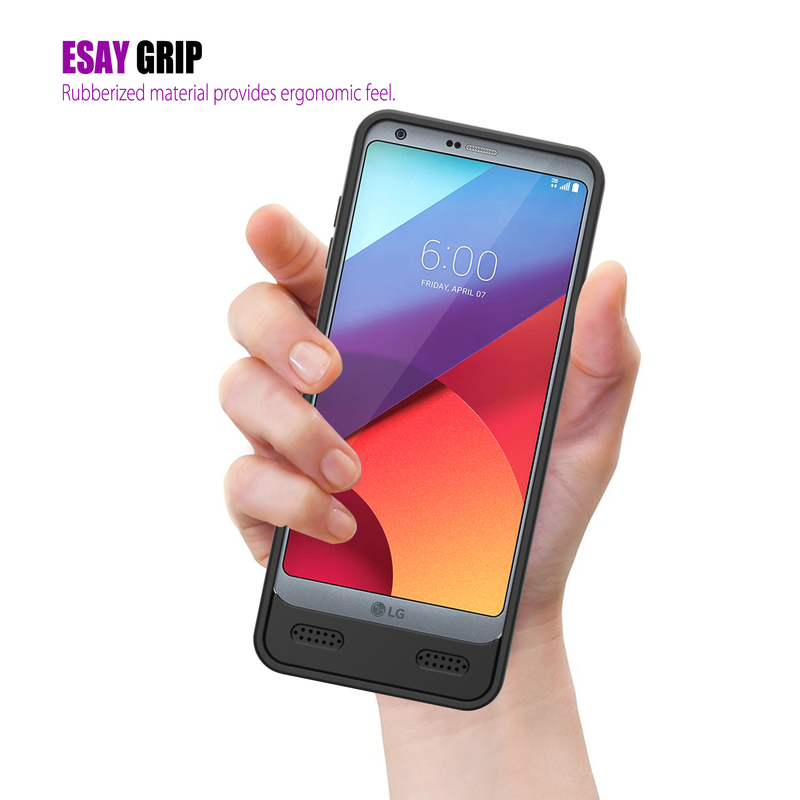 Soft TPU case to protect the LG G6 from drops and hard falls. 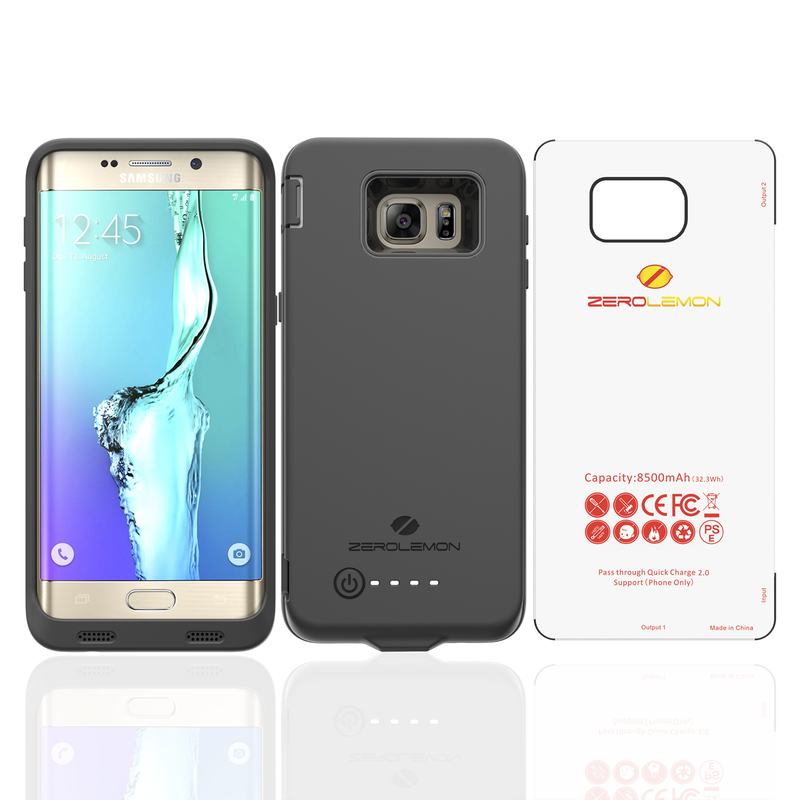 7-8 Hours: To fully charge the extended battery case and the phone. 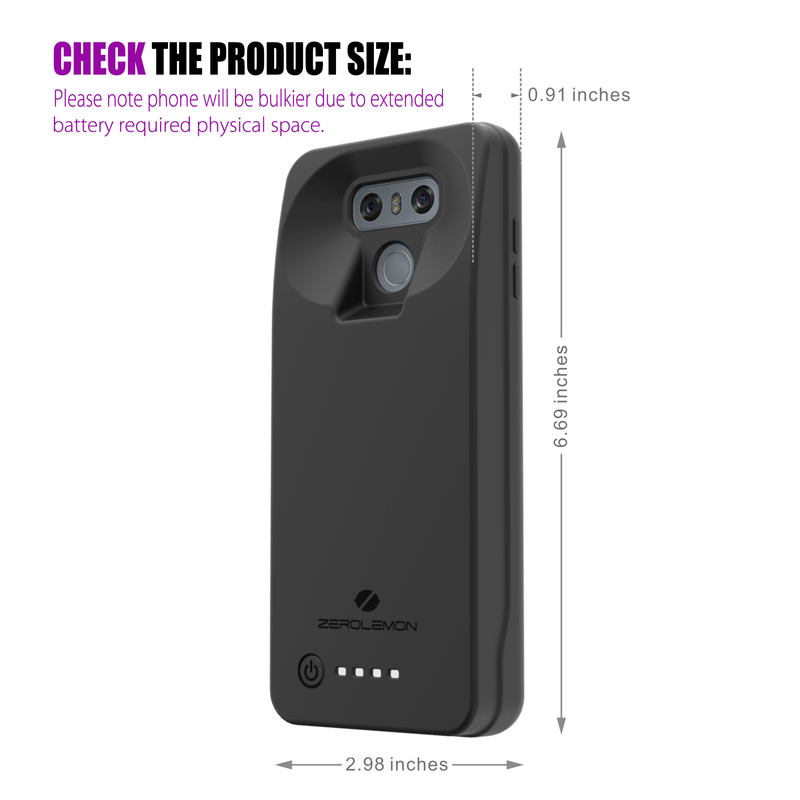 3-4 Hours: For extended battery to fully charge the phone when the phone is not in heavy use. 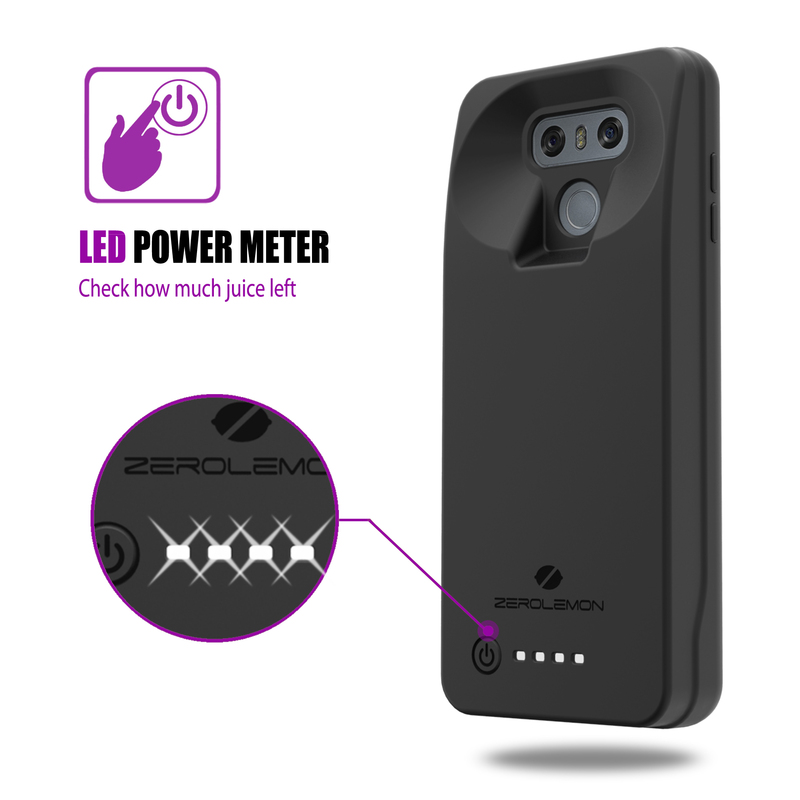 Note:This battery case can only passthrough quick charge. 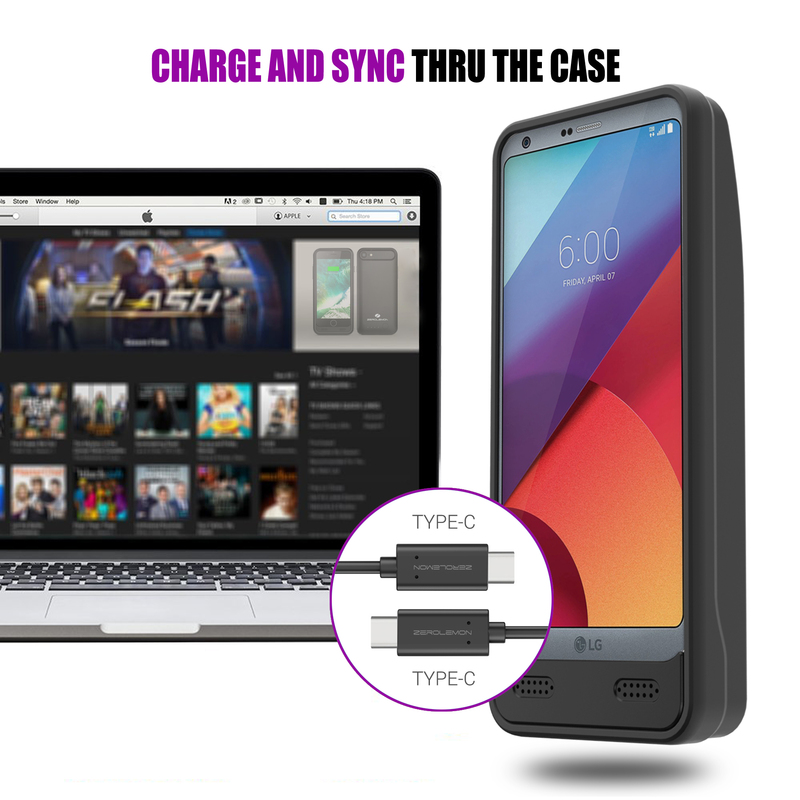 Please use LG original charging cable and charger for optimal use and safety. 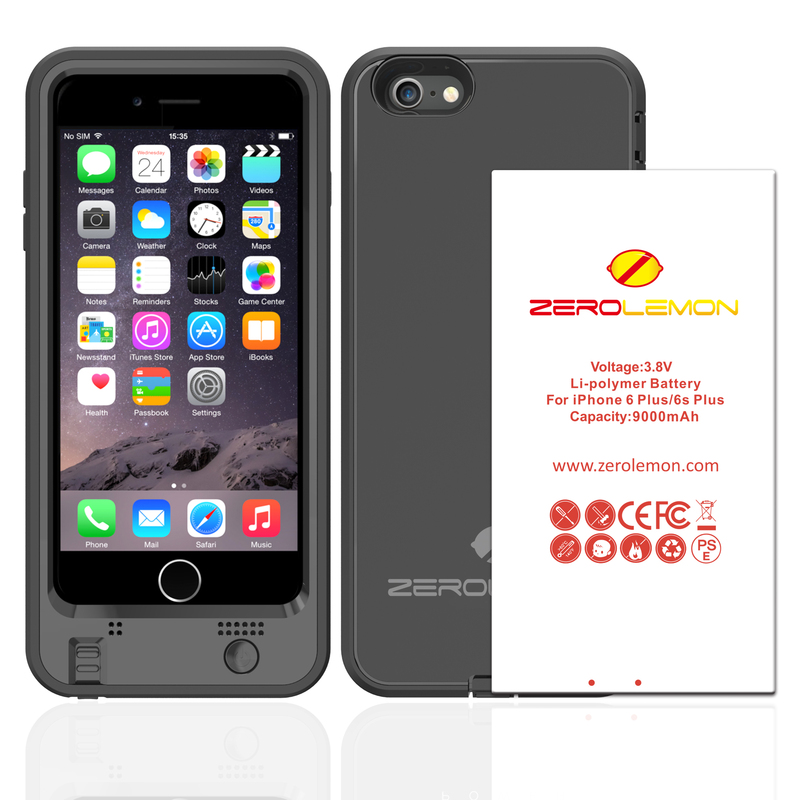 Other chargers and cables may be not be compatible and may result in overheating. 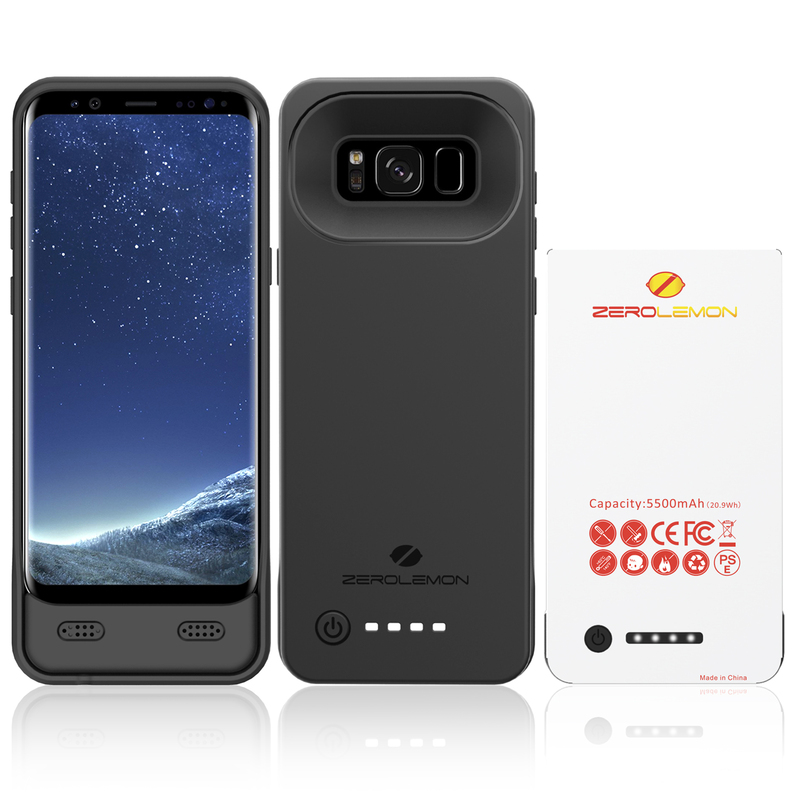 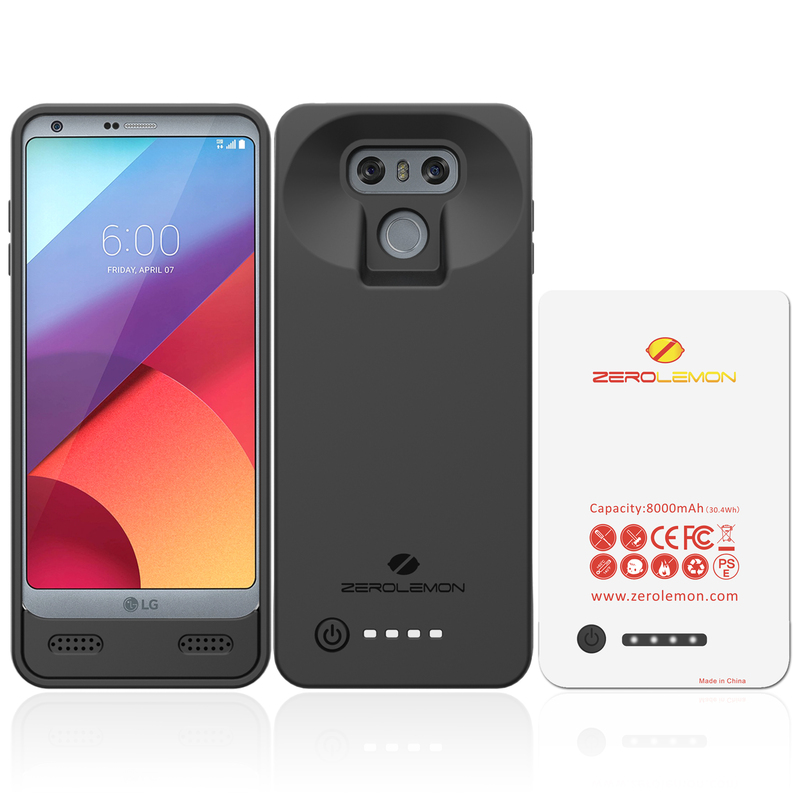 ZeroLemon battery case with LG G6 will be bulkier due to the physical space required for the extended battery.